Ship Shape Elementary: Story Problems, Doubles, and a Freebie! Story Problems, Doubles, and a Freebie! Isn't September a beautiful month? I love the subtle transition from summer into fall and I love all of the anticipation for the cozy months ahead. 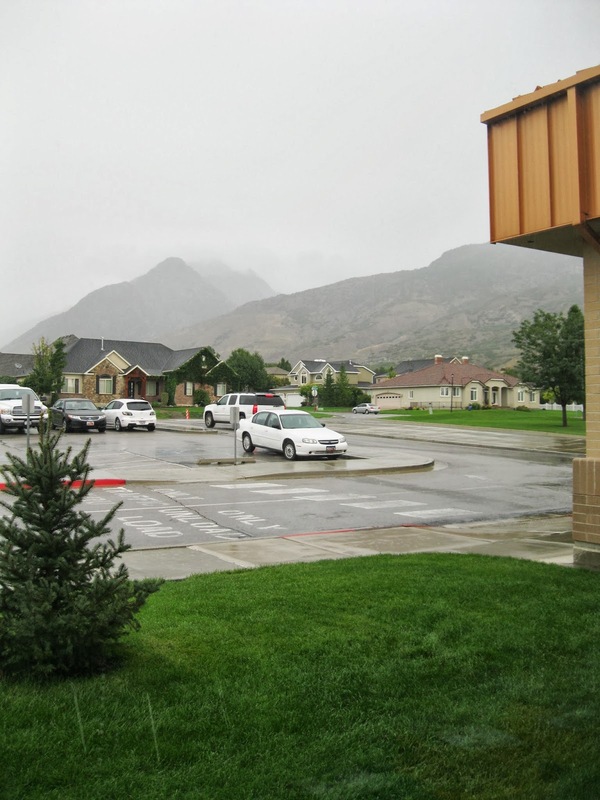 This week in Utah that transition has meant lots of rain, thunder, and lightning! We even had an inside recess this week because of the weather! Here is the wet view from my classroom! Despite the rain, we have been working hard. 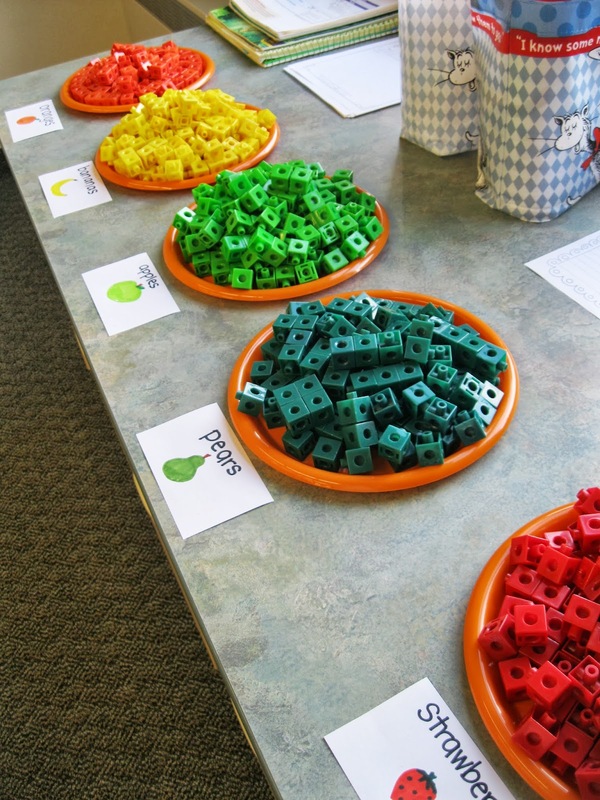 This week I introduced story problems and the concept of visualizing quantities in a real situation. I saw this cute idea on Tunstall's Teaching Tidbits (she is amazing, by the way), and had my students compose their own story problems and then create a picture of it. They verbalized their story, I typed it up and printed them out and my kids went to town. They loved it! They felt so proud of themselves for creating their own story problem so we hung them in the hall to share with everybody. This past week I also introduced doubles. It was a big week for math, as you can see! We worked for a few days with linker cubes to make cube towers of doubles and then explain them to one another. After we made all of our towers we recorded them, along with their corresponding equation, on this square paper. They loved creating their own doubles reference sheets. The next day I gave them a real-life math task to help me with. I told them (in very dramatic fashion) that I was in desperate need of their help. I was going to a party and I was supposed to bring a fruit salad, but there were going to be so many people there that I would have to double the recipe. How on earth was I going to do that? I set up a grocery store of fruit (ahem, linker cubes) around the room and they set off to make me a grocery list and do my shopping. They were so excited to move from one fruit to the next gathering the necessary fruit for my salad! This task was fairly open-ended and I wanted to see what reasoning they would use to solve it. I was quite impressed with their solutions and their problem-solving. After I made this page I realized that if you actually made it you would have a pretty weird fruit salad....so don't go make it! But if you are interested in this page you can download it free right here! 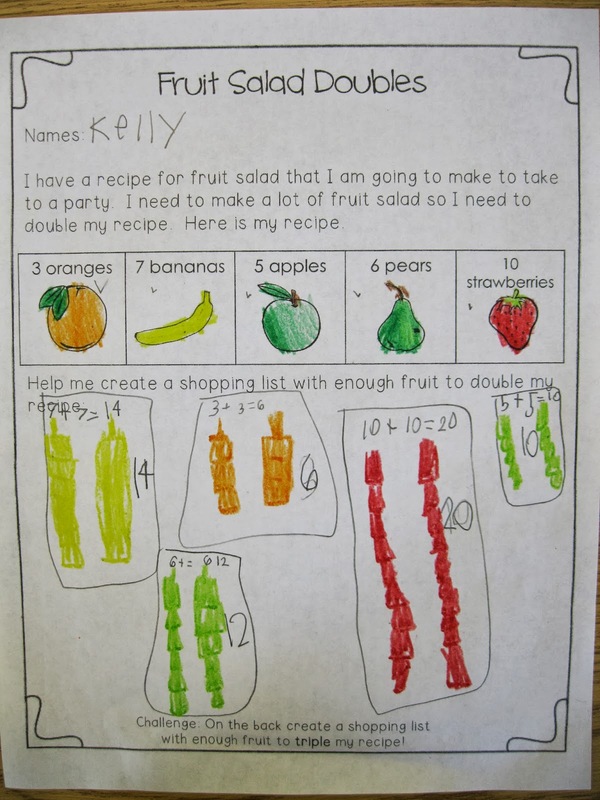 This activity is Common Core aligned (1.OA.6). Things are off to a really good start this year. My kids are behaving so well (thank goodness I spent so long on management in our first weeks!) and we are really growing closer and closer each day! I am trying new things in my teaching and changing things up and although things always feel crazy and stressful and maybe the tiniest bit chaotic, I feel happy with it all. I'm off now for one last family barbecue! Hopefully the rain will hold off for a bit! Have a relaxing weekend! This is an adorable idea! Thanks for sharing!